In a unique setting, in the middle of a 30 hectare park overlooking Beauraing, the Le Castel Sainte Marie site gives you the option of staying in a quiet and protected environment. 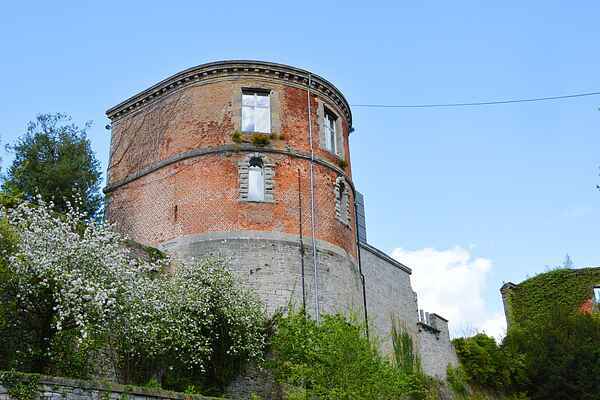 The cottage is located in an old tower belonging to Le Castel's enclosure and offers a stunning view of the surrounding area. It has a pleasant terrace, 5 comfortable bedrooms and a beautiful living space at an exceptional height. It's the ideal spot to spend time relaxing and walking, well away from the outside world... Also take advantage of the location to explore the region: Beauraing and its place of pilgrimage, Dinant and its Citadel, Han Sur Lesse and its caves or Bouillon and its castle... Naturally, there are many opportunities for walking or cycling in the region as well as kayaking down the Lesse or Semois... Le Castel and its restaurant also offers various rooms where you can organise your retreats, family meals and seminars.